CBO estimates that enacting the President’s plan would increase the budget deficit by $288 billion in 2012 and decrease deficits by $3 billion over the 2012-2021 period. That estimated deficit reduction of $3 billion over the coming decade is the net effect of $447 billion in additional spending and tax cuts and $450 billion in additional tax revenue from the offsets specified in the bill. It’s important to note that of the $447 Billion in “spending” $275 Billion of this comes in the form of tax cuts (if the idea of tax cuts amounting to spending seems confusing, read about deficit spending). This is extremely important to note because Republican politicians will rail against the bill claiming “we can’t afford $450 billion in spending” all the while calling for tax cuts and claiming that tax cuts don’t equate to spending. 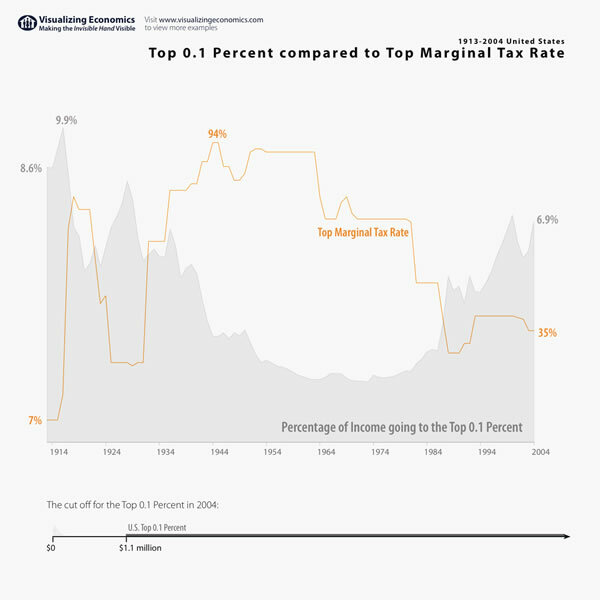 They won’t allow the Bush Tax Cuts to expire even though the lost revenue from those tax cuts (along with the lost revenue that came with the recession) have more to do with the deficit than any increased spending. 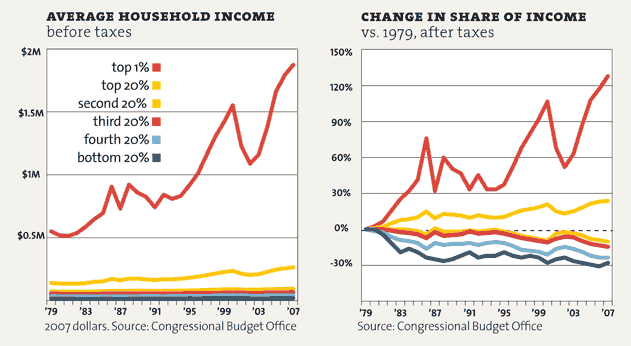 Ron Paul claims tax cuts don’t have to be paid for (and yet he still characterizes the Jobs act as “spending”). This duplicity shows that Republicans are not really trying to get America their jobs back so much as doing what they can to cause Obama lose his job. Did the First Stimulus Fail? No, it saved us from a worse recession but should have been larger. Adamant that the first stimulus package failed, Republican support for the plan is slim. 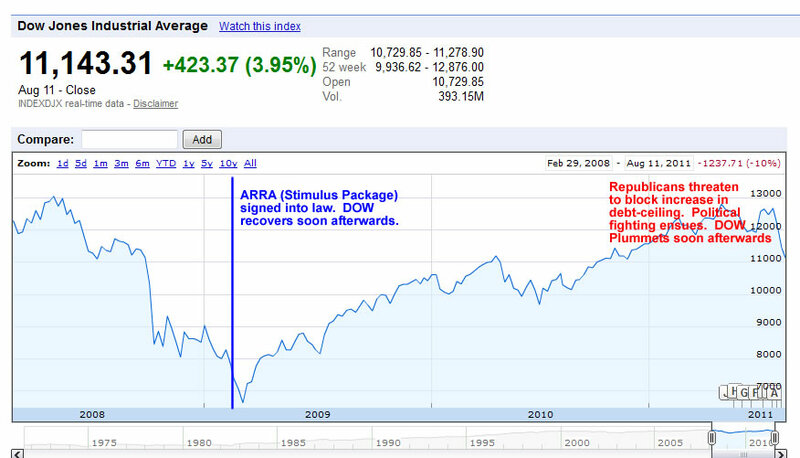 But data tell us that both the stock market and the unemployment situation reacted positively to the 2009 stimulus package (known as the American Recovery and Reinvestment Act–or the ARRA)? The ARRA was signed into law on February 17, 2009. Within a matter of days the DOW began recovering and would continue to grow until the highly compromised debt-limit deal was reached and rumors of the upcoming S&P downgrade would ensue. 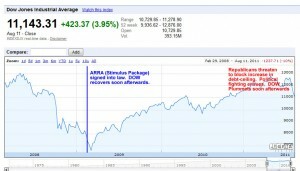 So it would appear the the market reacted positively to the stimulus package. Obama was inaugurated on January 20, 2009, By the time he signed the stimulus package into law, the unemployment rate was above 8% and quickly rising. Within 6 months, the unemployment rate peaked at just over 10% and would begin dropping and leveling off at roughly 9%. 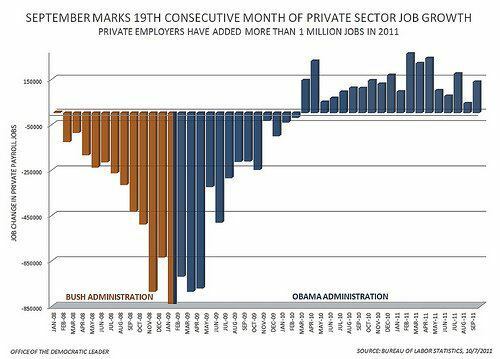 In fact, the private sector has actually added over a million jobs since the stimulus package went into effect (even accounting for net jobs being lost over the next few months as stimulus spending was barely being implemented. The reason the unemployment rate has remained flat is because the number of jobs being added is roughly the same as new workers entering the workforce and previously discouraged workers coming back into the work force (more about how unemployment is calculated). While an unemployment rate of 9% is hardly great news, the point is that the economy was on the road to a much higher unemployment rate than what actually ensued. Non-partisan groups (both public and private sector agree that the stimulus package averted a worse economic outcome). Private sector agencies like IHS Global Insight, Macroeconomic Advisers and Moody’s Economy.com (all highly respected agencies, whose economic insights and forecasting are regarded as the industry standard) all maintain the position that the economy would have been worse without the stimulus package. In addition to the private sector forecasters, non-partisan public organizations like the CEA and CBO also estimate that the ARRA prevented a far worse outcome. 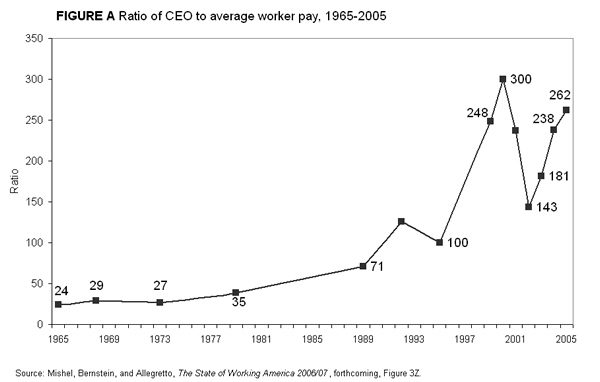 Over the last 30 years, we have seen a huge increase in wealth disparity in the US as more of the wealth has coagulated at the top (coincidentally, taxes on the top earners have been drastically lowered and union-busting has increased). This loss of disposable income has made it more difficult to get the type of spending needed to create the demand needed to create jobs at a fast enough pace to effectively lower the unemployment rate. The need for a second stimulus package comes as no surprise to mainstream economists, who have said all along, that the stimulus package should be larger. Politically, 800 billion is about as large a bill that could have passed (though Congressional Republicans argued it would break us). 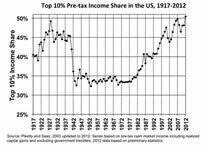 But for mainstream economics not tied to political parties (and who don’t work for ‘think thanks’ like the CATO institute or Heritage Foundation–whose sole reason for existence is to argue that government is always the problem and an unfettered free market is always the solution), the answer was obvious all along. What went wrong with stimulus? One of the many misnomers Congressional Republicans and other Obama critics like to repeat is the claim that Obama claimed the stimulus package would keep the unemployment rate from reaching (or exceeding) 8%. This isn’t true. Rather, it was his economic advisers Christina Romer and Jared Bernstein who made this prediction, even before Obama was sworn into office. It’s important to note that this bill was signed into law in mid-late February of 2009. By this time, unemployment had exceeded that 8% threshold. Christina Romer’s statement was based on data available at the time. 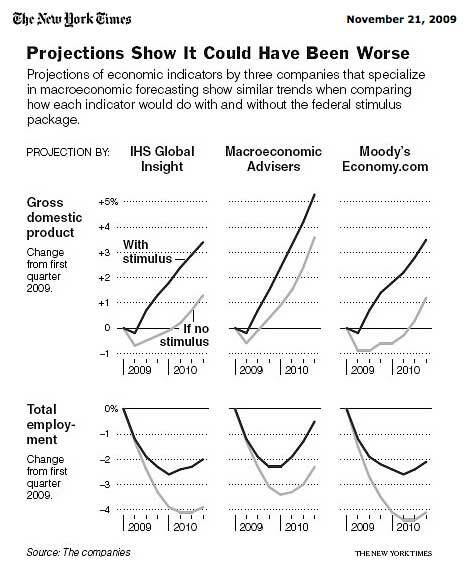 The economy turned out to be worse than she and other economists realized at the time. In any event, the usual rhetoric about the stimulus package ‘failing’ because it didn’t prevent unemployment from reaching or exceeding 8% is nonsense, because it reached 8.5% the month it was signed into law.